The Suzuki Early Childhood Music program offers nurturing group music classes for newborns, babies and toddlers ( 0 – 3-year-olds) with mixed ages in each class, allowing each child to develop at their own rate. Two teachers, one of whom is a qualified Suzuki instrumental teacher, lead a variety of different activities working together with parents to help children achieve their full potential. 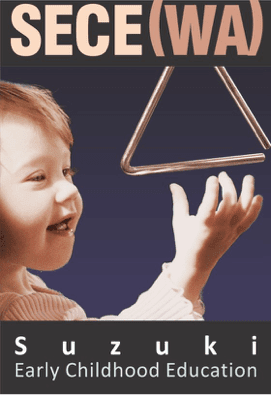 We follow an internationally recognized program and classes provide opportunities for musical, social, emotional, cognitive, language and physical development. Early childhood experiences lay the foundations for all later learning.